The Foo Fighters have postponed a pair of upcoming shows in New Orleans after one of the group’s members suffered an undisclosed injury over the weekend. “Due to a band member injury, Foo Fighters have been forced to reschedule their February 15-16 opening weekend at the Fillmore in New Orleans,” announced the band on social media. “The February dates have been rescheduled to May 15 and 16. All tickets for the original dates will be honoured. 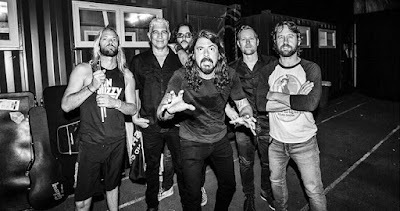 The Foo Fighters headlined a Super Saturday Night event in Atlanta, GA on February 2 that saw the group joined by a number of guests, including Queen drummer Roger Taylor, Perry Farrell, Zac Brown, Tom Morello and saxophonist Dave Koz – watch the full show here. The rescheduled New Orleans dates mark part of the band’s final four US shows ahead of a summer run across Europe that will bring a close to the “Concrete And Gold” world tour.